You have searched the internet for answers to a multitude of questions. You are trying to make sense of the insensible. You have run out of excuses for behaviour and words. And now you find yourself in denial. When the stark reality of the person you fell in love with meets most, if not all of the criteria of a Narcissistic Sociopath your first instinct is denial. You tell yourself ‘no, they are not really that much of a liar‘, or ‘maybe they did tell me they would be gone x-amount of time’, or even ‘maybe they are just going through a life-crisis’. Followed by the ‘if’s’ if only you said this, if only you did that, if only…….these ‘if’s’ are actually denial. You are finding it next to impossible to understand how someone you loved so deeply, cared about so intensely could just turn their feelings off, walk away, or treat you so unkind. How, when you were together so long could you not see that almost from moment one your relationship was doomed? A Sociopath is daily pulling out of you and the relationship what they need, while never truly giving back or engaging in a loving, committed relationship. I wrote in this post how you are constantly pouring emotions, finances, etc into the relationship with your Sociopath, to how they methodically & systemically wear you down, and ultimately end the relationship. 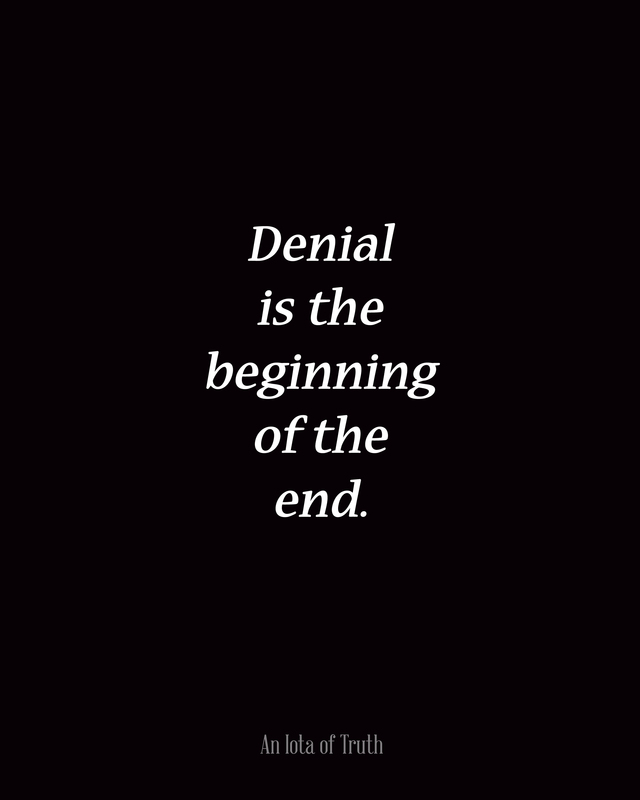 When the reality of what you have just been through starts to become clear, denial sets in. You just do not want to believe that person actually has a label. You want so desperately to believe you can ‘fix’ them. You plead to them your understanding, you tell them continually how much you love them, you may even be willing to accept their reckless and emotionally destructive behaviour. Or you tell yourself you feel you were placed in their life to help them. Unless your Sociopath is first, willing to admit they do in fact have an Anti-Social Personality Disorder, and second, willing to get professional help, and third, you must be willing to attend therapy to help you better understand, put boundaries in place, and to help you better cope with the Sociopath, you will never ‘fix’ them. There is no medication they can take. And the relationship will just continue to repeat the same patterns and behaviour. The most important thing for you, is not to live in a state of denial. Read and educate yourself. As I have said in most of my post, do not blame yourself. That is so easy to do as you feel as if you would have done more, gave more, said more, the relationship would still be good. Sadly, that is not the case. You will never change who or what they are. Period.